So Stylish Leather&Chains bracelet. 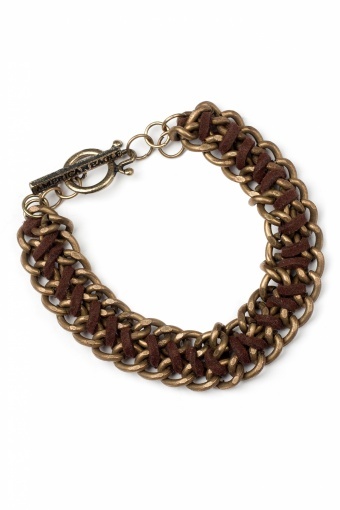 One-of-a-kind chain bracelet with a suede chocolat brown lace strung through the chains. Sooo pretty! Hele leuke armband! Ben er erg blij mee. Zelfs de entourage van de verpakking was een verrassing. Top!